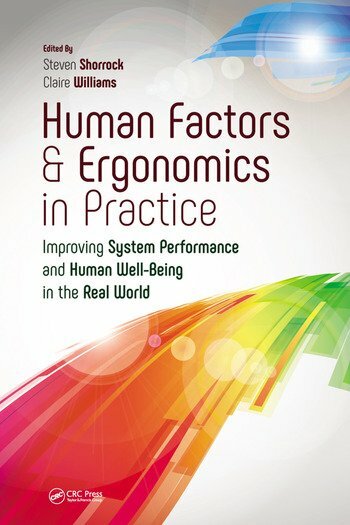 Human factors and ergonomics (HF/E) in manufacturing is employed across many industries. Whilst the techniques and methods we apply are consistent, the unique requirements and constraints of each industry drive the manner with which HF/E is applied. Within both the rail and defence sectors, HF/E is part of a multi-disciplinary design process within a requirements-driven engineering environment, involved with the design and integration of numerous sub-systems in the development of the end product. Detailed processes are followed to enable effective HF/E input through each design phase of a project, requiring both an organised and flexible approach by the HF/E practitioner. Whilst safety and operability are the key considerations for HF/E in the development of a submarine, the development of rolling stock also considers comfort and minimising the risk of injury for a wide range of end users. The challenges experienced across the industries can be both common and unique, ranging from managing scope and incorporating legacy design, to understanding complex nuclear systems, or managing the political influence of Unions. This entry was posted in Part 3: Domain-specific issues and tagged design, manufacturing, nuclear, rail, standards, submarines, trains. Bookmark the permalink.